For those of us who follow all things Apple, today’s event in San Francisco is the focus of the day. With the upcoming release of the iPhone5, millions of iPhone users will be upgrading to the new device. 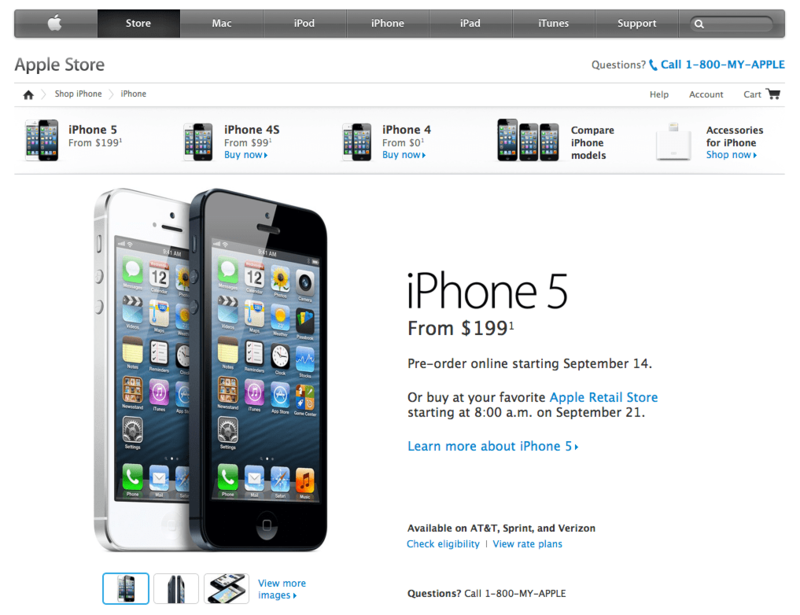 Apple just announced that the iPhone5 will be available for pre-order on 9-14 and will ship/be available on 9-21. 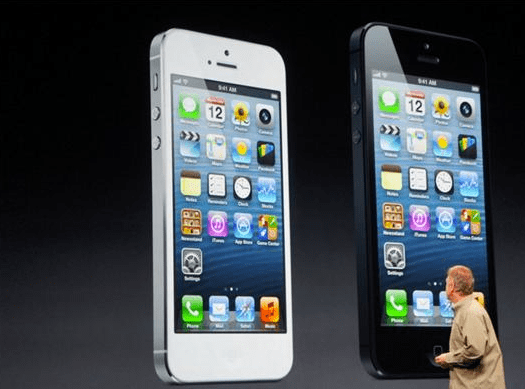 Will you be upgrading to the iPhone5? With the upcoming release of the iPhone 4S, I decided to upgrade both my iPad 2 and iPhone 4 to the new iOS 5 operating system prior to picking up the 4S. Apple boasts over 200 new features tied to the OS, with some specific to the iPhone & iPad. After a few tries, I was able to upgrade both and have spent the last 24 hours identifying what I find useful in the new OS and have narrowed the list from 200 down to my top 10. 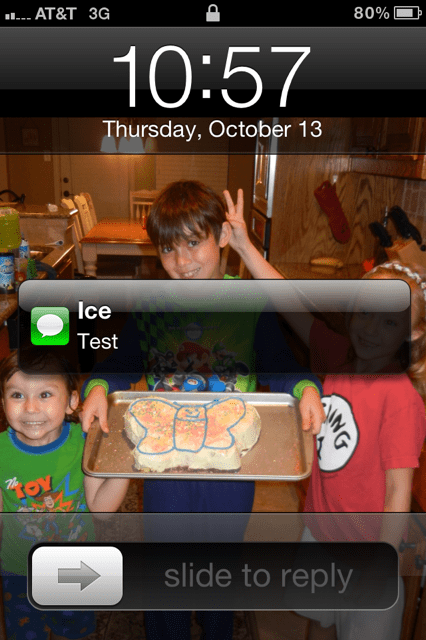 1) NOTIFICATIONS – I really like the new approach to notifications. With an integrated approach that feels much better from a UI perspective, notifications feel like an extension vs. intrusive. This extends to apps such as Facebook as well. 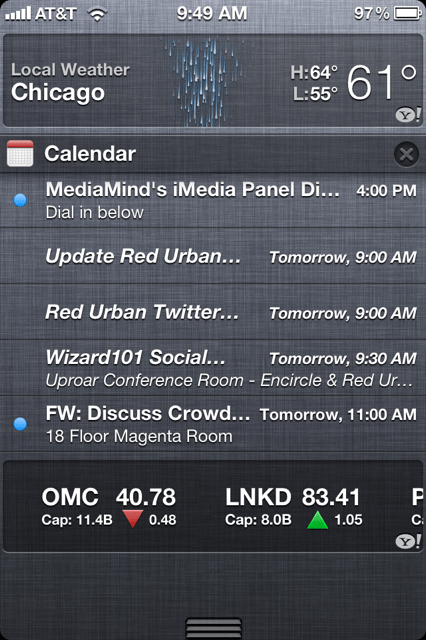 Swipe Down notifications – Swipe down from the top of the screen and you will drop down your notification center. This area can be configured to show weather as well as the latest notifications, updates and even track your stock portfolio. 3) PHOTO ENHANCEMENTS – Simply Double Tap the home button on the lock screen to pull up a shortcut to activate your camera. This is extremely helpful, especially at events. 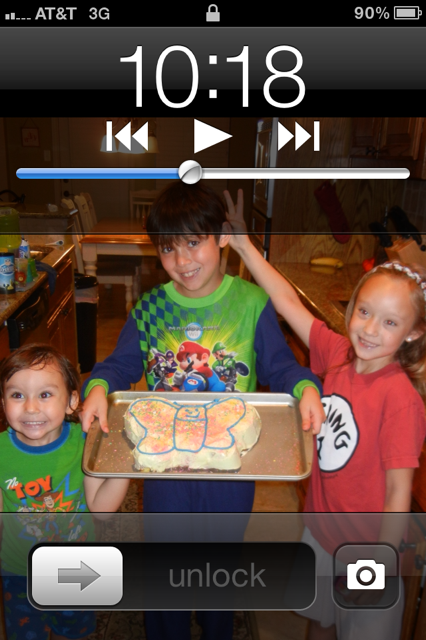 4) PHOTO EDITING – In addition to the upcoming 8 megapixel camera in the 4S, the iOS 5 update added much needed Editing support for photos. 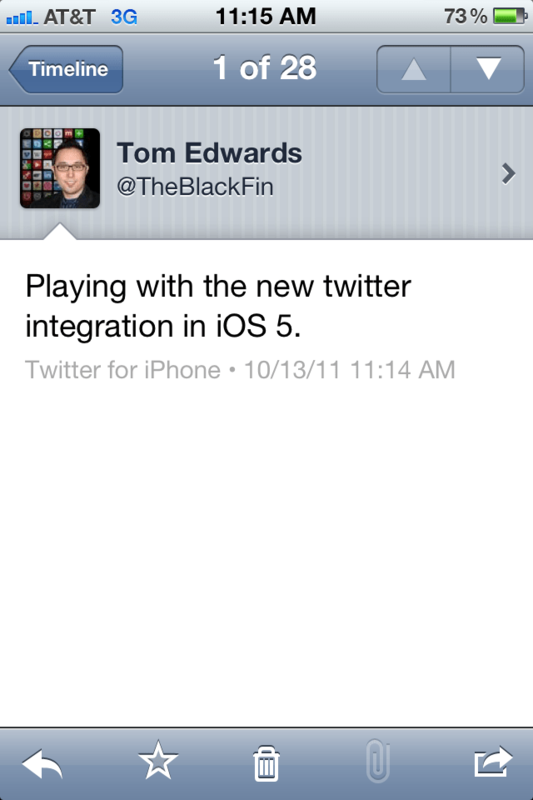 5) TWITTER INTEGRATION – With Apple’s decision to align with Twitter, iOS 5 highlights their commitment to further integrate the micro-blogging service into the experience. Here is how to configure Siri to work with Twitter if you now have the 4S. 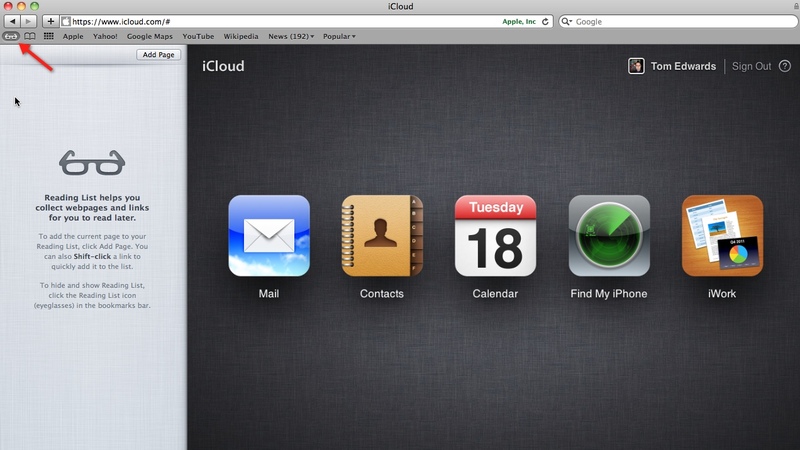 6) SAFARI – With most changes on the back-end, the features that impact usage are the Reader List and Reader Button. Reader Lists – allow users to add articles to running lists that can be shared across devices. 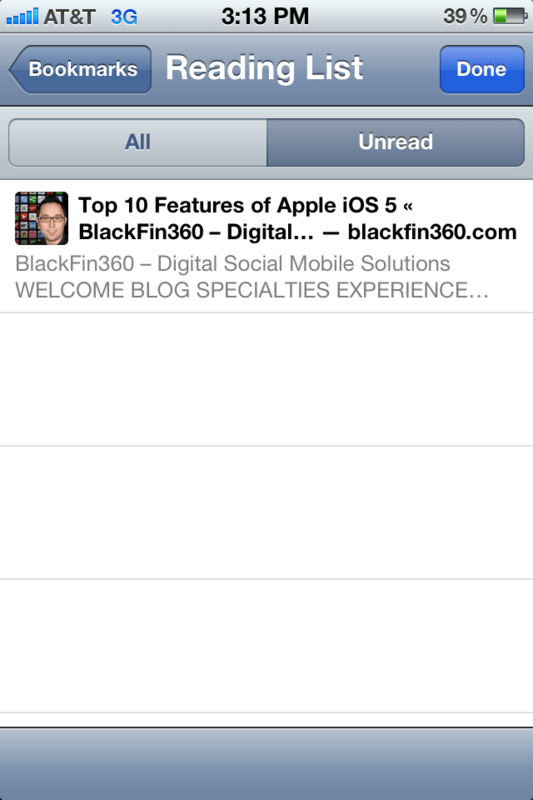 Example of Reader List activation for Safari on my Mac. (7) MAPS – Not major changes here, but I do like the fact that you can now share map locations via multiple options. If you have Siri via the 4S, then you also have the ability to ask for directions via voice commands and Siri will remember your previous request. 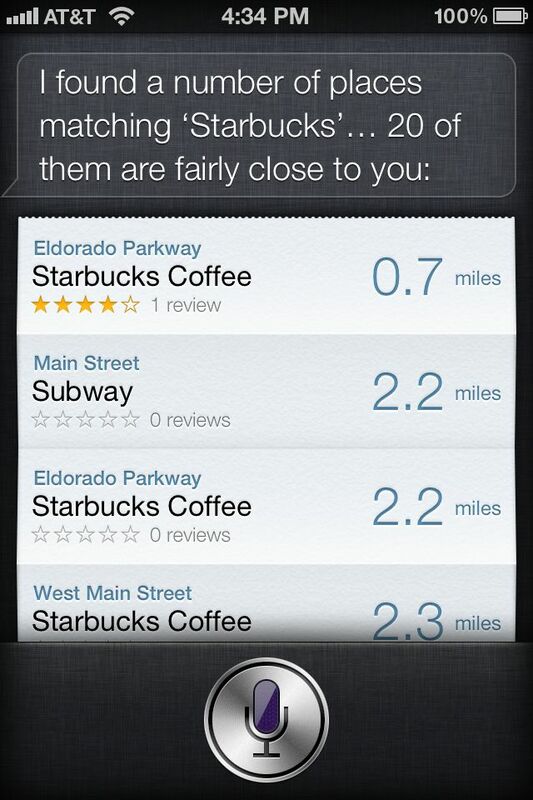 Here is my analysis of Siri. 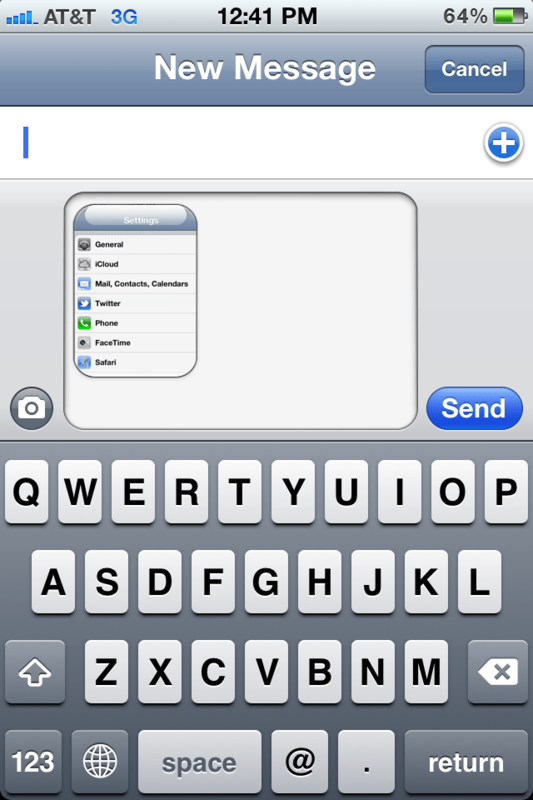 8) iMESSAGE – allows you to interact with other iOS 5 users with unlimited text, photo & video messages. 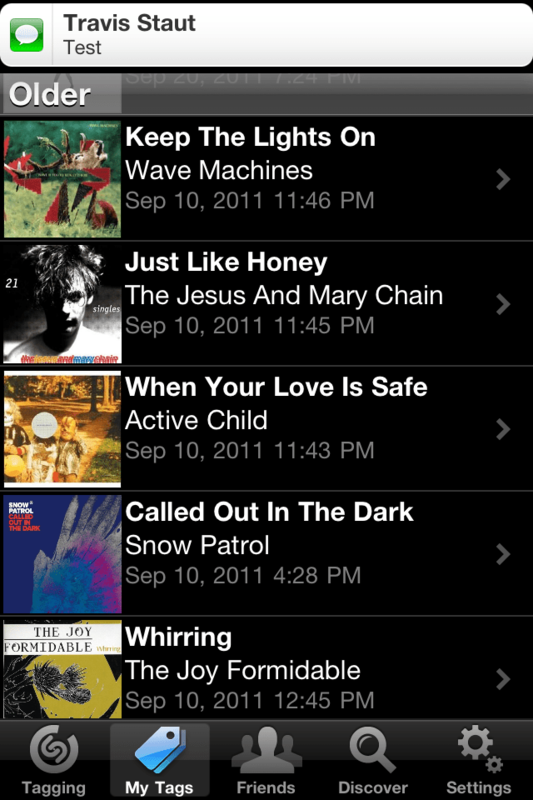 (9) NEW APPS – With each new update to the iOS new apps normally follow and this launch was no exception. Trailers – Watch the latest movie trailers, also integrated with iTunes, of course what isn’t from Apple? 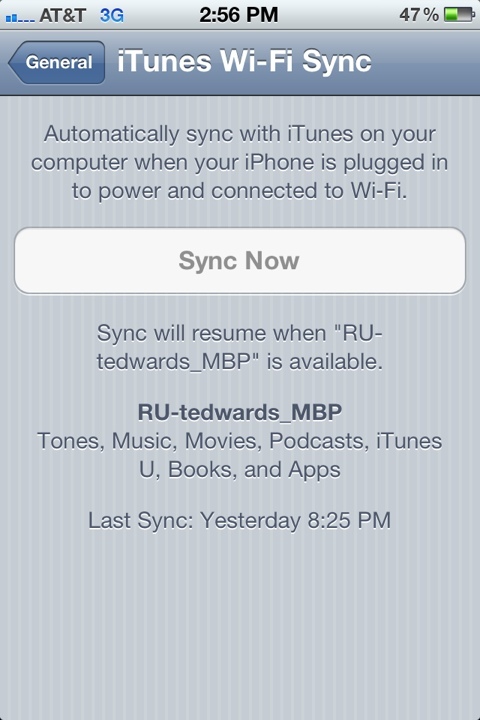 (10) Wireless sync to iTunes – Enough Said!!! I have been very satisfied with both generations of iPhones to date. But when there is a problem I have been even more impressed with Apples customer service. A few days ago I dropped my new 3G on the hard floor at work. I have dropped my iPhones (Previous and current) numerous times and the worst that has happened is a dent or a scratch. But this time the phone landed face down on the floor and shattered the glass like a windshield hit by a Mack truck. So that somewhat impeded my ability to use the phone as glass shards in my face is not the most conducive way to conduct business. I originally purchased my phone through an AT&T store but I called the local Apple store to talk to support about my options since I had not purchased Apple Care and had heard they were freshly stocked. So an appointment was made with their Genius Bar for the next day. I arrive, bypass the still long line for the iPhone and get into my appointment earlier than anticipated. The associate was very helpful and he initially stated that there is normally a cost of $200 to replace the phone with this type of out of warranty damage. But as we wrapped up the exchange it turned out to be at zero cost result as he just performed a straight swap. His only advice was “just don’t let it happen again”. So needless to say that was a $200 swing in my favor. Apple did not have to do that, I would have paid the $200 to swap my phone, but the fact that they were so accommodating and stood behind their product gives me a new sense of appreciation for Apple. I finally got my iPhone 3G around noon today but not without some adventure and waiting in the process. I would love to hear if anyone else has a story about waiting for their new iPhone today. First I stopped at a local mall to see if I could “pop” in and pick up the 3G. Needless to say the line there was 700+ people long. After waiting for a while and not making much progress I went with plan B which was to go to an AT&T store close to my office. The line being only 20 people I thought this would be my ticket to getting the 3G. After about 30 minutes of the line not moving very much I started to second guess my decision. On a side note, I ran into a guy that I went to high school with that I had not seen in over 15+ years! I also got to meet his great family (wife and two daughters). It is a small world considering I did not grow up in Dallas. As the line dwindled down and it was unknown exactly when the phones would run out it became clear that it was going to be very close based on the AT&T rep updates. When there were four people left in front of me they announced that they only had 4 phones left total! There were at least another twenty people behind me. I thought… wouldn’t it be great if they ran out right in front of me. So as their was one person to go they came to me and said that one of the people did not meet the criteria, i.e. primary account owner… so there was one black 8 GB left so I took it immediately! I was eligible for the upgrade so the cost was minimal and the wait at the AT&T store was roughly an hour and a half. As far as the phone it is better than I had hoped. The feel of the phone is a bit more natural than v1. The back has a slight curve to it and their is a difference in terms of the feel of the screen. 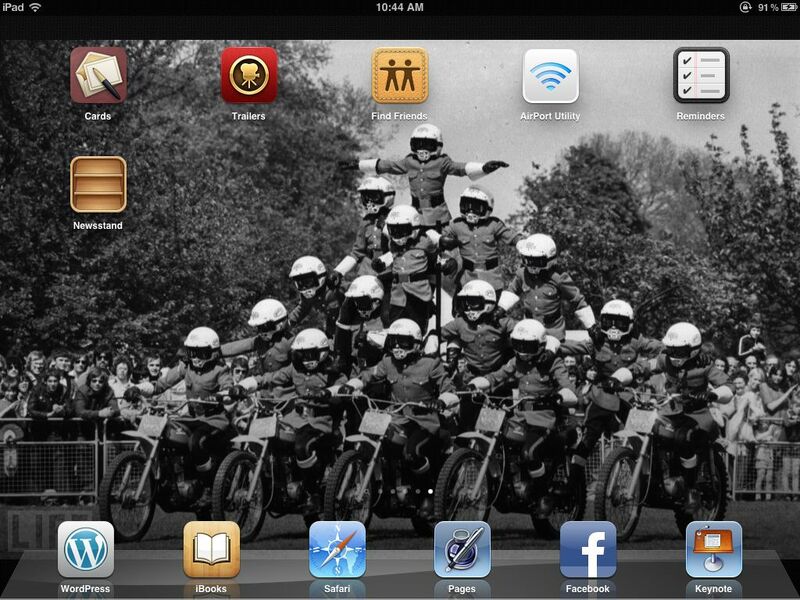 The app store is a nice addition although I miss some of the free hack programs. The App store is tied to iTunes. There are a number of free apps, including a great lightsaber app. Other apps are sold in the same model as other iTunes products. I immediately started downloading apps to my hearts content! My restore from a v1 iPhone went very smoothly once I was actually able to get the activation completed. It took about 15 attempts to connect to the Apple servers to get the phone setup. I backed up my v1 one last time, popped the SIM with the SIM removal tool that now comes with the phone and once connected ran the restore from the “previous phone” option to import all of my settings from my v1. All in all it was a very seemless transition. I have to say I love the active sync with Exchange! No more duplicate effort on deleting items from my phone and inbox. My calendar and contacts will now stay in sync so no more daily sync routine. I have been on the 3G network before with a BlackJack so the added speed will be nice. The only downside so far is the battery life seems to be significantly less than the v1. I will have to adjust some of the defaults to try and preserve juice while traveling. My only other complaint is that this model does not fit into the existing docks. It will require a new accessory! All in all I am very happy with the upgrade and it was definitely worth the wait!!! For those of you with the v1 I really recommend the hardware upgrade. I was surprised by how much I enjoy v2. For those of you who have yet to take the plunge now is the time. The 3G network, full exchange integration and a great user interface! What are you waiting for??? Are you going to get the iPhone 3G? If so why? Are you a current iPhone user or have you held out waiting for a faster network? I am very interested in the study of Consumer Behavior. Especially around brands that transcend their categories and become engrained in our culture. Apple’s products definitely have redefined how we interact with music with the iPod and for many of us and I am very interested in how the iPhone is/has redifined our expecations around what a mobile device/phone should be. I have been very happy with my iPhone over the past year or however long it has been. All I know is that I am eligible for the upgrade with my carrier and I am ready for the 3G. I have lived with the quirks of not being able to push contacts, calendar and e-mail with Exchange. I have undergone the daily sync routine to try and keep my ever expanding calendar at bay. 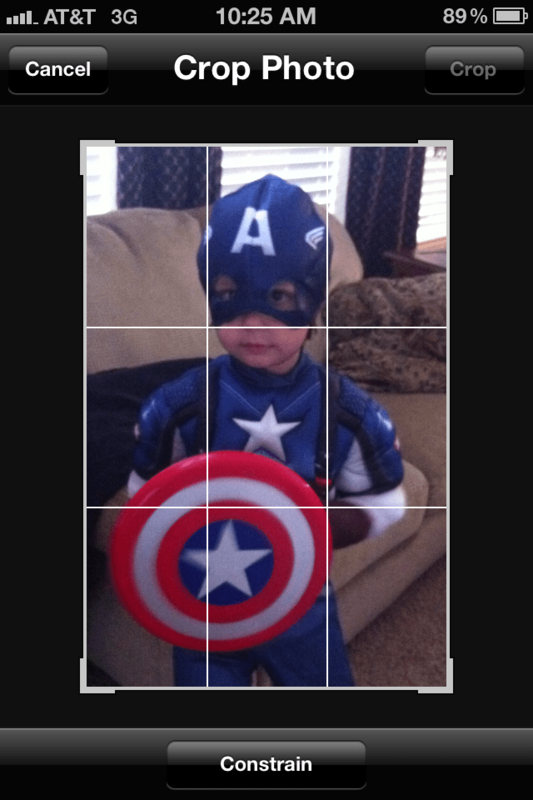 And I have suffered through the subpar camera experience. I have enjoyed the various hacks and it has even survived a few dives into my infant sons bathtub. So now it is time to upgrade and I will be one of those people in line early on Friday the 11th just so I can upgrade to the 3G. Is it a necessity? No. Will it make life easier? Maybe a little bit. Could I wait and just get the 2.0 software release to get Active Sync? Sure. Will I wait beyond this weekend to pick up the phone? No. This is where I have to give Apple credit for their marketing and design of their products. There is not another brand that comes to mind that has positioned itself in such a way that with each new release of a product it warrants an almost immediate upgrade. Think about how many iPods total that you own or have bought in the past few years alone. 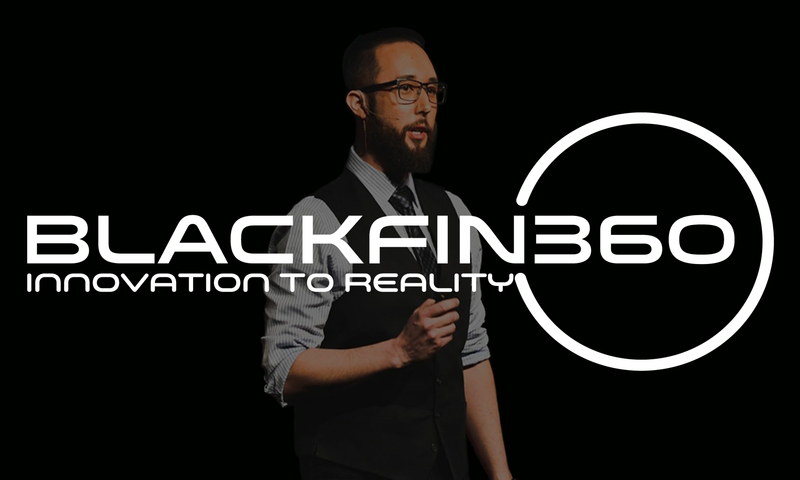 This is not necessarily because the functionality is superior, it is has to do with the simple and elegant products that demand your attention and ultimately get it because it is…. well cool. The hipster factor is high on their products and they cater to those that appreciate sleek, modern designs while keeping in mind that style over substance only works if you are a supermodel. For the rest of us you have to deliver the core functionality of todays integrated offerings and for the most part their products deliver both style and substance. So was this post necessary? No. Will there be another iPhone post in the future? I am sure. Will I pick up the 3G? Absolutely.